Can you believe that May will mark 40 years since Star War was released!? I definitely wasn’t old enough to see it at the drive-in several times and own a Princess Leia figure (cough, cough.) Well, I’ve managed to pass down my love for Star Wars to my kids and now they’re enjoying the new movies along with some of the older ones. 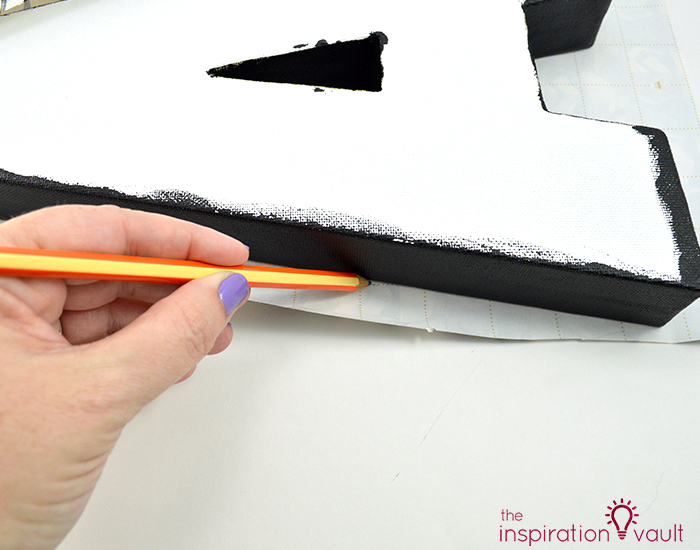 To help celebrate this big anniversary, we’re taking part in the Star Wars Challenge from the monthly movie craft challenge. 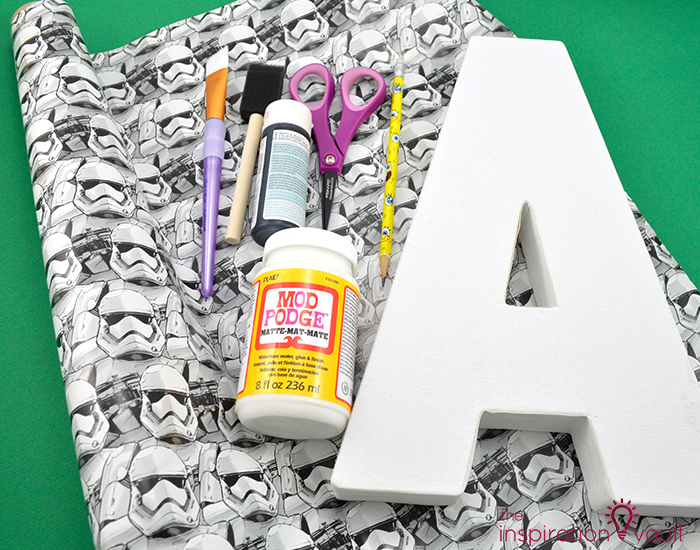 I had just the project in mind with this Star Wars Stormtrooper Monogram Letter and I already had the supplies (of course.) 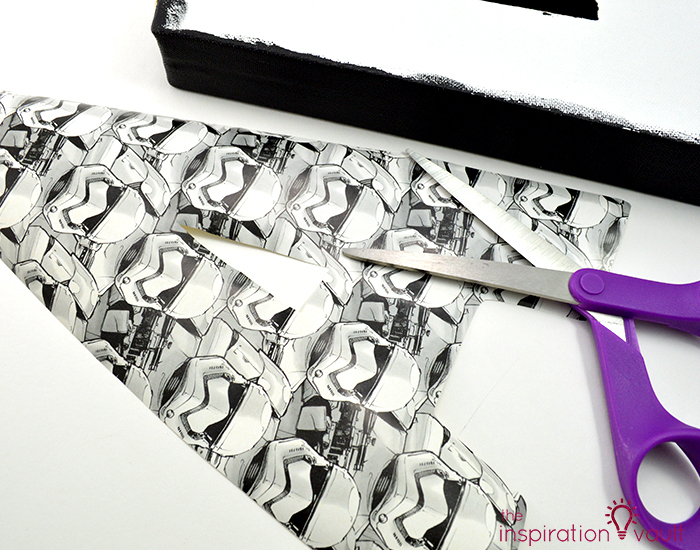 Remember to check out all of the other fun Star Wars projects at the end of the tutorial, too! Just like with the Kids Character Fleece Tie Blanket, this Star Wars Stormtrooper Monogram Letter project was one my son waited patiently for months for us to do together. 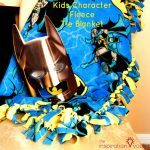 The concept is pretty simple and you could use the same idea with any type of character wrapping paper your kiddo loves. 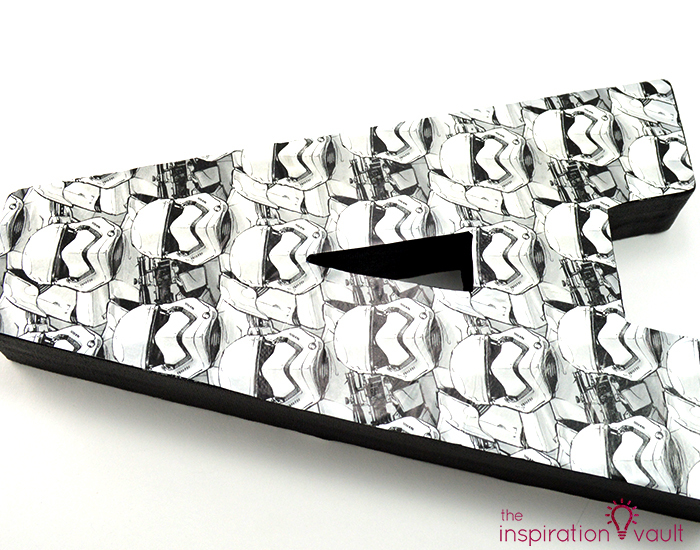 We liked this particular paper because they used the Stormtrooper helmets to create a patterned print. The other aspect I loved was the canvas monogram letter. Most monogram letters seem to be made of wood, and for one this size, it would have weighed a lot. The canvas letters are light-weight and the paper sticks to it really well without sliding. 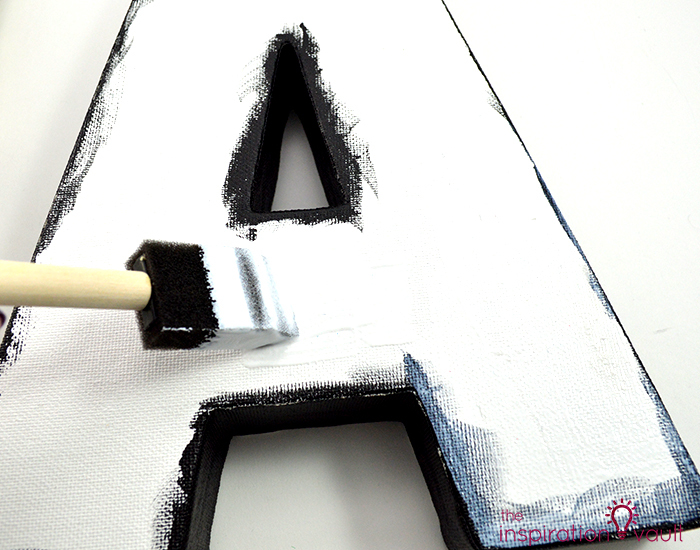 one: Paint the side and inside edges of the monogram letter. 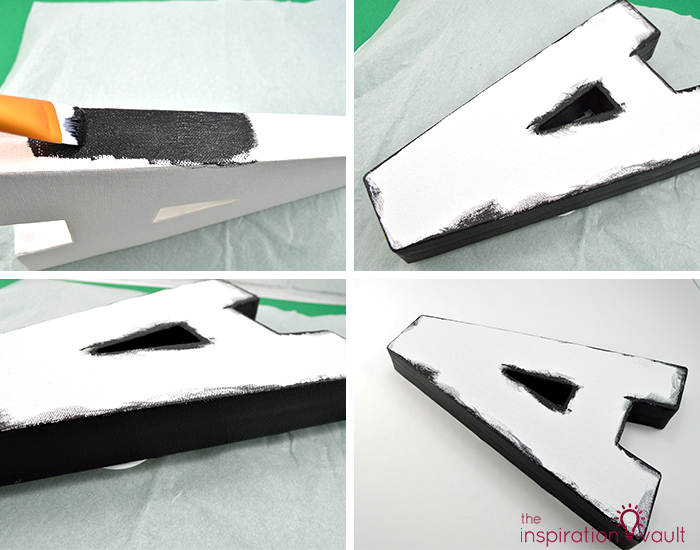 Paint a little over the edge to the front and back so no white will show through. I painted two coats. Let the paint dry completely. two: Cut off a piece of the wrapping paper large enough to cover the front of the letter. Trace the letter shape onto the back of the wrapping paper. TIP: Oops! Make sure the direction of the paper matches the letter, lol! four: Apply a good amount of Mod Podge evenly to the front of the letter. five: Starting on one end, slowly apply the paper letter cut out to the Mod Podged letter, smoothing as you go. Try to gently smooth out any bubbles. Let it dry completely. That’s it! 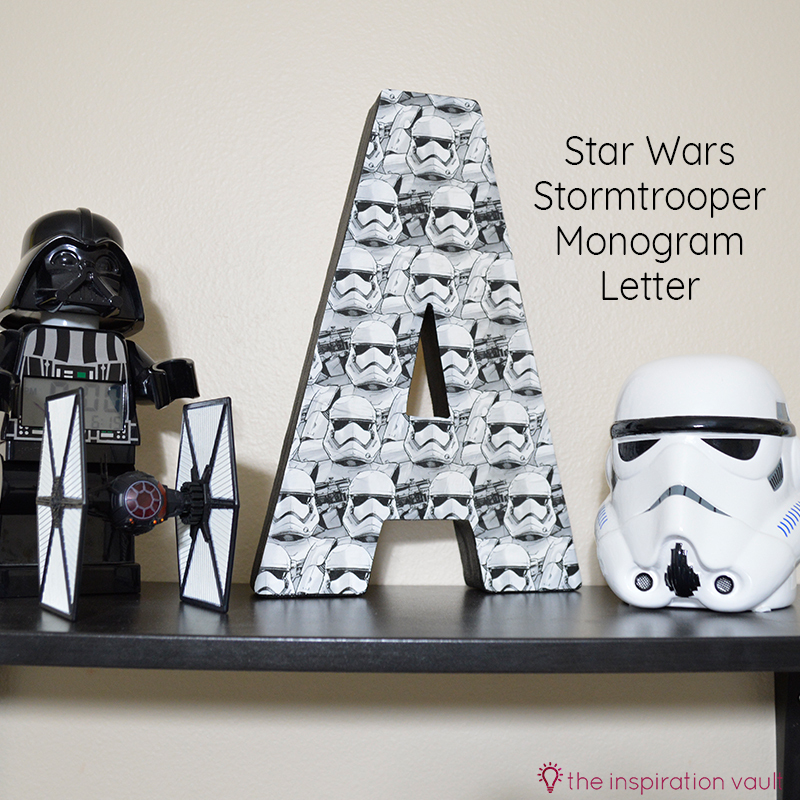 Only five easy steps to make a fun Star Wars Stormtrooper Monogram Letter to decorate your little Jedi’s room or play space. Or maybe it’s for you. We’re fans, so no judgment here! 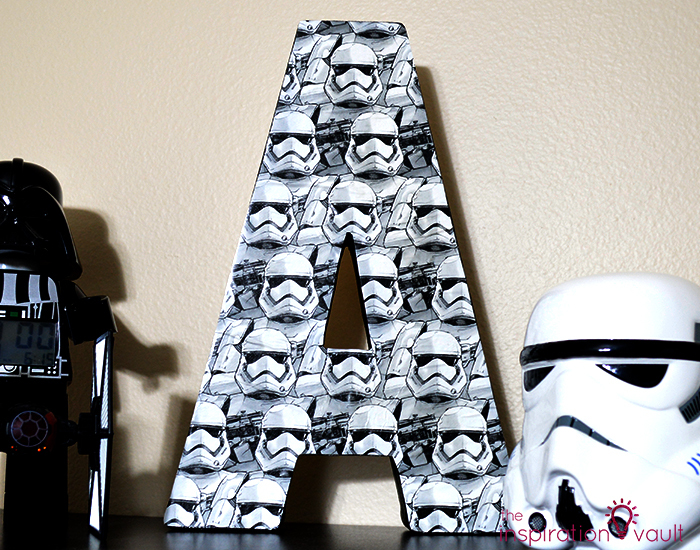 Have you see all of our other Star Wars crafts!? 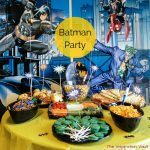 Be sure to see our other Star Wars crafts and party posts and follow our Star Wars Party & Craft Inspiration board on Pinterest for even more ideas! 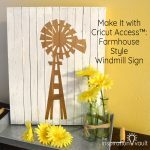 And my favorite resource for kids’ crafts, All Free Kids Crafts, has even more Star Wars crafts you can make your young Padawans. Don’t forget to check out the other Star Wars projects from the Movie Challenge! Love it! Perfect craft for any little Star Wars fan! I wish I would have thought of this. LOL! I love it and it is the perfect addition to other Star Wars decor. Nice that you and your son did it together. I love that. Such a great idea to use the wrapping paper! I love how this came out! 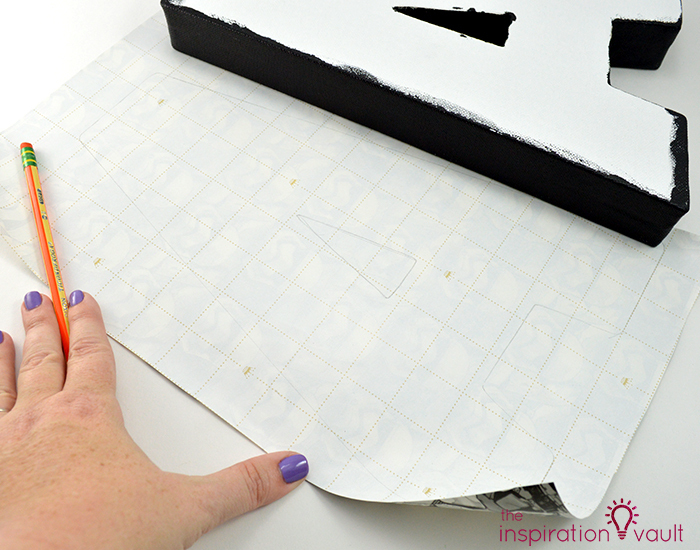 This is a great idea, and it can be done with any wrapping paper! 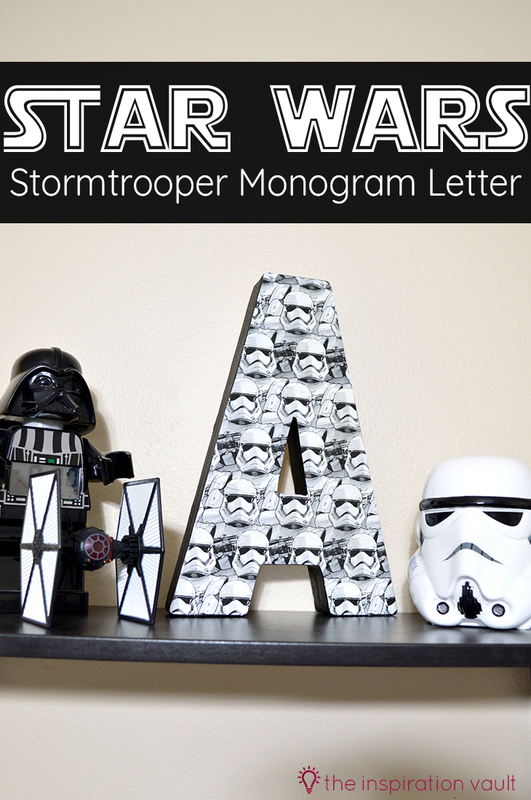 That letter looks so perfect with the other Star Wars memorabilia. Nice job! I need to show this to my daughter, love it! Love the storm trooper design so much! Also your purple nails are so pretty! ? 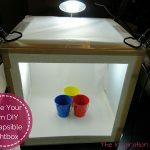 I absolutely love this, and it’s inexpensive enough to make a new one each time the kiddos interest change. How cute is this!?! We are such Star Wars fans… we just bought Rogue 1 and loved it! I loved that movie, too. I feel like they’re on the right track with the newer movies.